Chickpeas are definitely a staple in the Smith house. They’re mostly eaten in hummus form, but sometimes I like to branch out and use them as a base to other dishes. 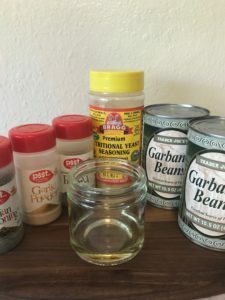 I like to add them to to a veggie soup for some extra protein; or mash ’em and use them as a base to a sandwich; and of course I love to sprinkle them on a salad for some added creaminess. 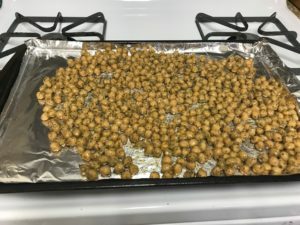 I’ve always really liked chickpeas, but once I started roasting them, I fell in love. When roasted, chickpeas take on a crispy, meaty texture. 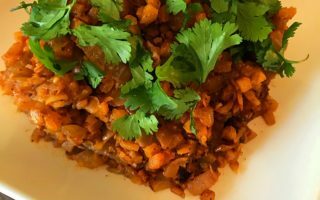 They are naturally mild in taste so these beans can take on just about any flavor. 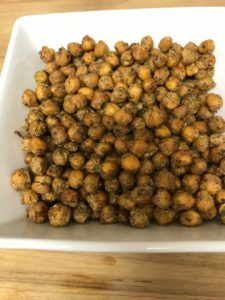 I’ve tried many roasted chickpea varieties (sweet, smokey and spicy), but my favorite are these cheesy ones. 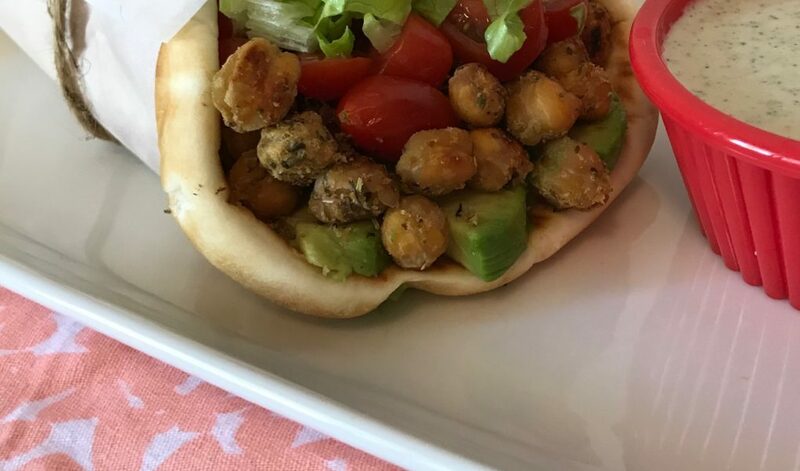 These chickpeas are crispy with a bold favor that goes well on salads, sandwiches, or just as a little snack. 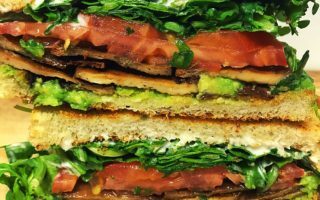 My favorite, however, is to stuff a wrap full of these chickpeas, tomatoes, avocados and lettuce and serve it with a side of ranch. Oh boy, oh boy, such a scrumptious meal! Preheat oven to 375°F. 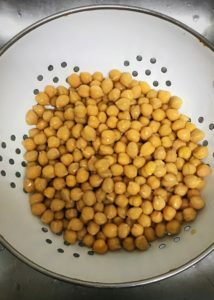 Drain the chickpeas and let sit in the colander for about 30-45 minutes to let extra juices drain and give the beans a chance to dry a bit*. 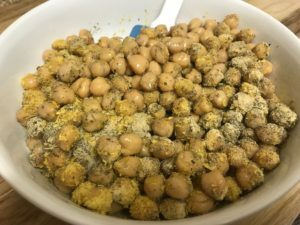 Transfer to a medium size bowl and drizzle chickpeas with oil. Add the spices and mix well, making sure all of the beans are coated. 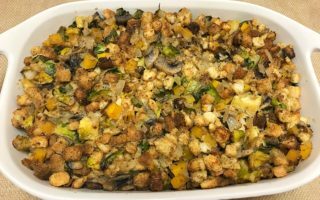 Transfer to a lined baking sheet and bake for 30-35 minutes, shaking half way to ensure even baking. Let cool for 5 minutes and enjoy! 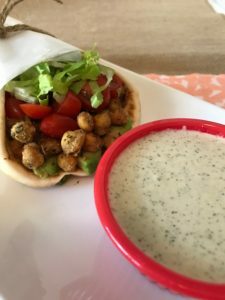 *If you’re in a hurry and don’t have time to let the chickpeas sit for a bit, just skip it 🙂 The chickpeas will still be tasty, they just wont be as crunchy.